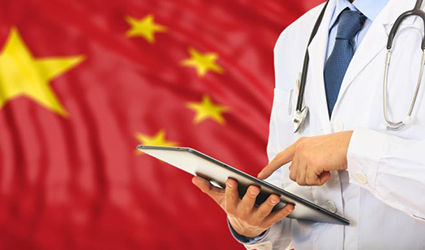 Clinical Innovations has launched its new subsidiary in Shanghai to grow in the Chinese labor and delivery market, expanding its global footprint. Clinical Innovations’ products are available in as many as 90 countries. The Salt Lake City-based obstetric and neonatal care devices producer newly appointed JB Medical Supplies as its Australian distributor and also German company Brenner Medical in the previous year. Kevin Han, former establisher of Boston Scientific’s Chinese urology and pelvic health unit and head of business unit and commercial head for China and Hong Kong, who has held commercial and channel manager posts in the Chinese operations of Johnson & Johnson Medical and GE earlier, will be managing the company’s newest subsidiary, CI Medical Instruments. “Creating CI Medical Instruments represents a major milestone for Clinical Innovations, and Kevin is the perfect person to spearhead this new venture,” Steve Cash, Clinical Innovations’ senior vice president of global sales, said in a statement. Clinical Innovations recently hired Richard Ji, Becton Dickinson’s former vice president of catheter solutions, as its VP of operations to reorganize the company as it aims to spread itself out in the domestic and international markets. Ji was attached to BD since 1995, serving at numerous international positions in the company’s manufacturing, research, quality control and supply chain functions.